Crisis replaces crisis in the flow of American news. One day it's the national debt, the next day the Roger Clemens trial. The week before it was the all-consuming Casey Anthony case. That's why many Americans may have lost sight of a story that broke two months ago. That is when CBS News first reported that U.S. government agents were ordered to allow Mexican drug dealers to purchase thousands of high-powered weapons in the U.S. and cart them back across the border. The story broke when disillusioned Alcohol, Tobacco and Firearms agents blew the whistle on what was dubbed operation "Fast and Furious." In 2009, the ATF was told of suspicious gun buys in the Phoenix area. The purchasers paid in cash, bought multiple weapons and chose classic drug-dealer weaponry — semi-automatic variants of military style handguns and rifles. CBS said some gun shops wanted to stop the questionable sales, but ATF agents told them to "let the guns walk." Between 2,500 and 3,000 weapons disappeared. The ATF said it was gathering intelligence and wanted to see where the guns would end up. One agent who spoke anonymously to CBS News called that "insane." It is now assumed that the guns have been used in the mounting drug violence in the border region and may even have been used in the shooting of two Immigration and Customs Enforcement agents traveling in Mexico. In February, one ICE officer was killed and another critically injured on a highway about 100 miles south of Mexico City. In December, a U.S. Border Patrol agent was shot and killed just north of the Arizona-Mexico border as he chased bandits suspected of robbing illegal immigrants. 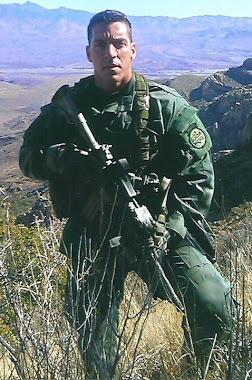 Guns linked to operation "Fast and Furious" were found at the murder scene of Patrol Agent Brian Terry. Two other AK-47-type rifles "walked" across the border were also found in the hands of drug dealers who tortured and killed the brother of a Mexican state attorney general last fall. Other guns were found in a cache of drug-cartel weapons after a shootout with a Mexican government helicopter. Meanwhile, gun violence in Mexico has steadily escalated. Nearly seven people per day are killed in drug violence in Juarez, Mexico, and nearly 35,000 have been killed in the drug wars since 2006. The U.S. Department of Justice has launched an investigation into the ATF operation, but few details have emerged. Several members of Congress have sought information from the Department of Justice and the ATF. It shouldn't take an act of Congress to determine who in Washington ordered this operation and why it was undertaken. 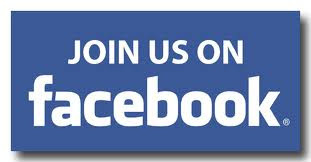 With an absence of solid information, speculation in the blogosphere has run rampant. The most prevalent theory is that the Obama administration wanted to push guns across the border knowing full well that people would die and that the weapons would be linked back to the U.S. This, according to the conspiracy theorists, would provide a basis for legislation limiting the rights of ordinary Americans to buy and own guns. That seems outlandish, but in the absence of solid information it's the best explanation out there. Perhaps Attorney General Eric Holder thinks if he waits long enough, this story will go away. It won't. The speculation will only grow. Unless the people who ordered this program are held accountable, this story will continue to simmer. The opinions expressed in this column reflect the views of the ownership and editorial board.